If you’re looking to create an edible landscape that’s as pleasing to your eyes as it is to your taste buds, try the pomegranate tree. Its height of 6 to 12 feet makes it perfect for any backyard, and its juicy, red fruit — set against dark green, glossy foliage — adds color and texture to your landscape while also tasting great. While pomegranates grow well anywhere in U.S. Department of Agriculture plant hardiness zones 7 through 10, the state of California ranks as the best place to grow the highest-quality pomegranates. 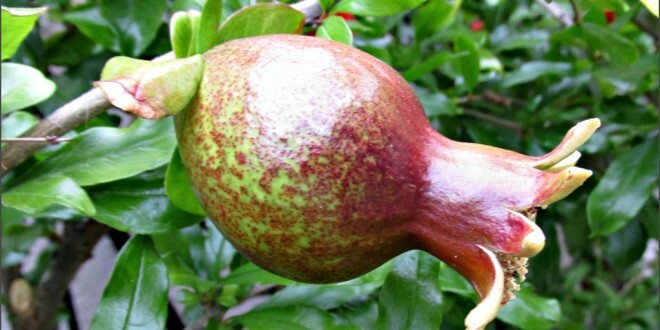 The “Wonderful” variety of pomegranates is most popular here, and it’s widely available in most garden stores as potted transplants ready to plant right out of their 5-gallon pots. Choose a location that gets full sun — at least six hours of sunshine every day (Mine get only 4 hours most of the year). The area should have a height clearance of approximately 12 feet and be 15 to 18 feet away from other trees, garden structures or your home ( My tree is espaliered against a stucco wall with a 12 foot span: I prune it to 8 feet tall). Dig a hole with a garden spade that’s approximately three times wider and three times deeper than the pot in which the “Wonderful” pomegranate transplant is currently growing. I planted mine in a 2-foot wide trench where I could only dig down 12 inches. 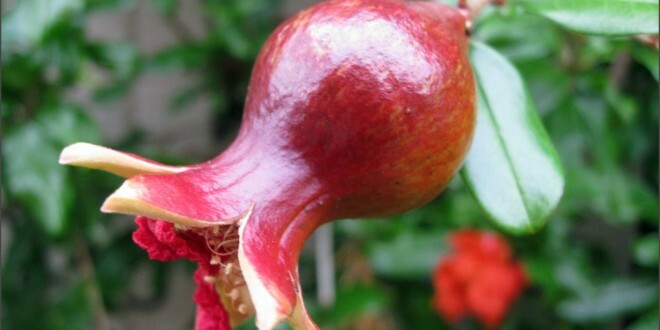 Remove the pomegranate transplant from its pot and rinse the root ball with a garden hose to remove an inch or two of potting soil from around the root ball. This helps expose and loosen the roots in the root ball, which in turn helps the plant get established faster. 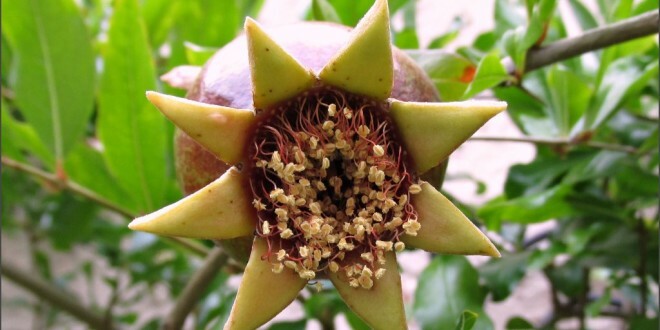 Place the pomegranate transplant in the hole, situating it so that its root ball is level or just slightly higher than the surrounding soil, then fill the hole in with the soil that you removed. 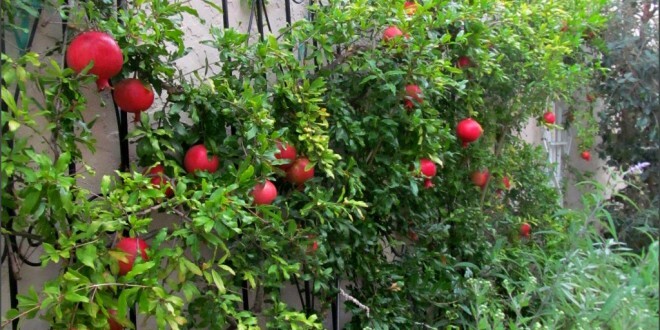 Water the pomegranate tree immediately, using enough water to moisten the dirt to a depth of 2 to 3 feet. This helps eliminate any air pockets that were created during the digging and transplanting. 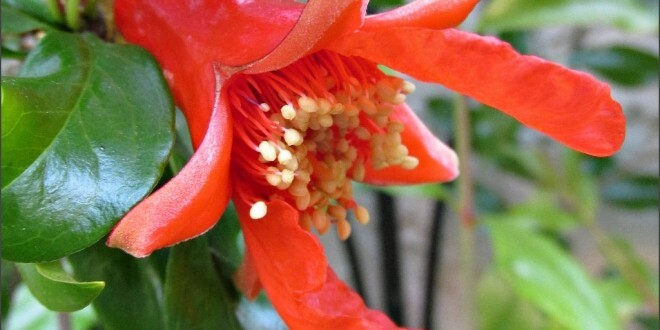 Add 3 to 4 inches of organic mulch around the pomegranate tree, such as bark chips or shredded leaves. This helps keep the soil moist and blocks weed growth while also shielding the pomegranate tree from fluctuating day and night temperatures. 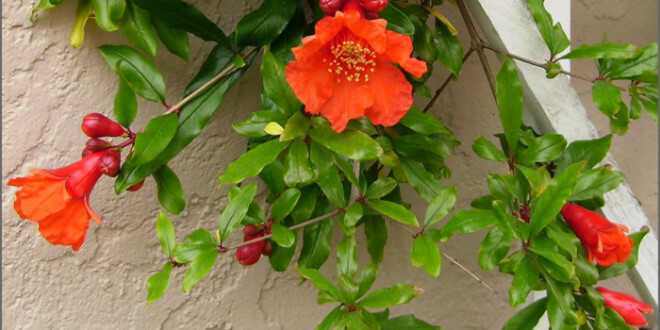 Continue watering the pomegranate tree every other day for the first two weeks after planting, then reduce watering to just once per week. Always apply water at the pomegranate plant’s base rather than getting its foliage wet; this helps reduce the risk of fungus diseases. 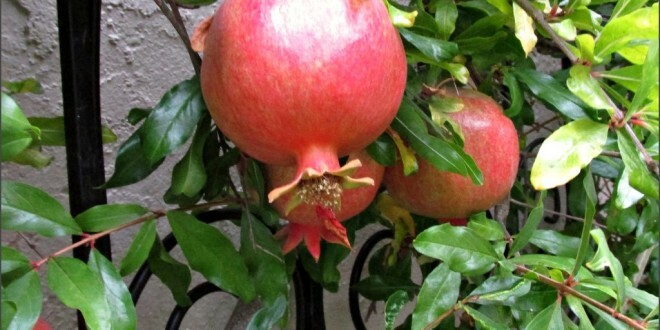 Fertilize the “Wonderful” pomegranate tree, once in the fall after planting and again the following spring. Use 2 pounds of 8-8-8 garden fertilizer, split evenly between the two fertilizing applications. Double the fertilizer amount in the tree’s second year, then triple the fertilizer amount in its third year, after which the fertilizing applications hold steady. Watch for insect pests. 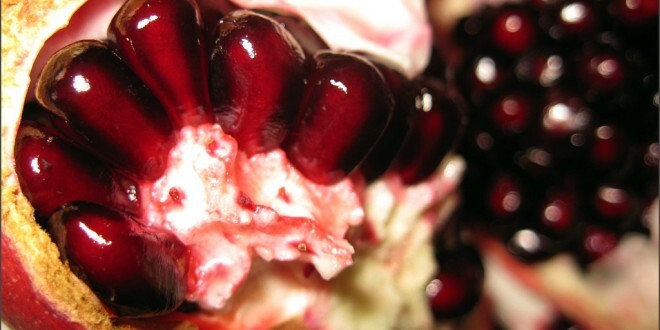 While pomegranates are relatively pest-free, rare cases of aphids, mites and other bugs may occur starting in the spring. In such cases, spraying with insecticidal soap or botanical oils — applied according to the manufacturer’s labeled guidelines, as potency varies widely by product — can correct the problem naturally.